And now for something completely different! We're here in Roxbury, MA, an unincorporated community in Boston. Tropical Foods (El Platanero) is here in this brand-new, ultra-modern building. This new-build supermarket opened in 2015 and is really nice. Here's some history from Tropical Foods' website . . .
"In 1961, Pastor Medina was forced out of his supermarket business and ultimately out of his home country - Cuba - by Fidel Castro. "Coming to the United States with his wife, two daughters and literally just the clothes on their back; Pastor worked many jobs and saved for his dream of one day owning a supermarket again. 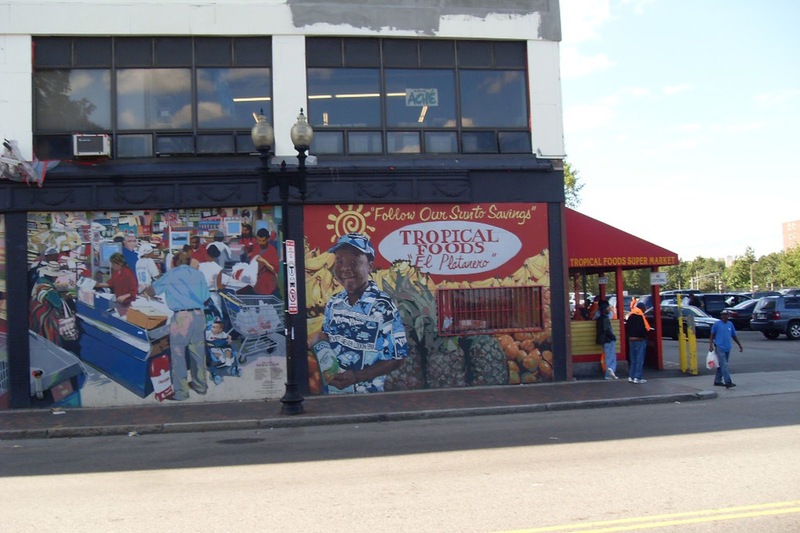 "In 1974, Pastor rented a small corner of a building on Washington Street in Boston’s Dudley Square selling just plantains – earning the store the name that most of its Spanish clientele still call it today: “El Platanero” (The Banana Man). Pastor’s brother Andres soon joined the company and together, over the next 14 years, their corner store had expanded to a small grocery store with over two dozen employees. 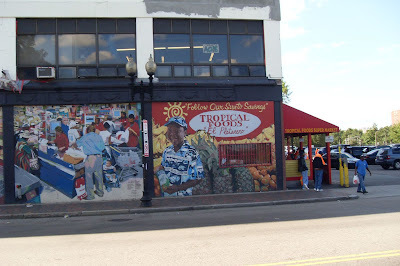 "In 1988, Pastor sold the store to his son-in-law, Ronn Garry Sr. who coined the name “Tropical Foods”. Ronn Sr. continued Pastor’s growth and further expanded the store --turning Tropical Foods in to a full-service supermarket. "In 2006, brothers Ronn and Randy Garry bought Tropical Foods from Ronn Sr.
"In early 2015, Tropical Foods opened a brand new 27,000 sf state-of-the-art store just behind the old one. In addition to all the same great items that were carried in the old store, the new location now has a service deli department, a service fish department, and a bakery. Modern, spacious & fresh… Tropical Foods really is the best of all worlds!!!" The old store has been knocked down but was much smaller. You enter to the left in the picture above, where there's an interior foyer where carts are stored. You walk into produce, with meats along the back wall, deli/seafood/bakery in the far back corner, and customer service to your right. The view when you walk in. The entrance is to the right in the picture above; customer service and checkouts are past it. The slogan, "The Supermarket for Everybody," is prominent around the store as are old photos of the neighborhood and the old store. The store's produce was pretty great looking, although I did not buy any. The products overall were very fresh. The store goes farther back than the produce aisle does, so the produce department is behind me here to my left. Looking back towards produce. Hey, at least the bottom stripe of the freezer case is in focus! The store is set up with two sets of aisles with a center aisle running through the middle. Meats are along the back wall. 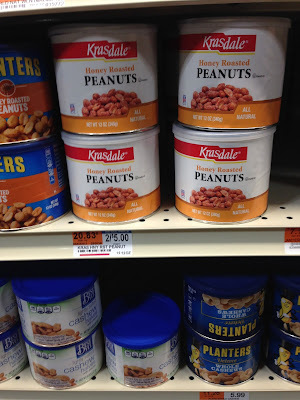 Tropical Foods carries both Krasdale and Best Yet products, but is not a part of any cooperative as far as I can tell. The center aisle, looking towards the entrance/produce side of the store. Looking towards the front of the store from the back half of one aisle. Looking towards the last aisle from the center aisle. The last aisle includes dairy and frozen cases. You can see the store is very deep. It seems like it's about as wide as it is deep. The seafood and deli departments, both very small, are in the back corner of the store. This supermarket does bake in-store, but there is no service bakery department. I highly recommend the M&M brownies, they are delicious! The front-end at the far end of the store from the entrance. Notice the large windows - they let in a lot of light. Looking from the dairy/frozen end of the store back towards produce. This store is amazingly spacious for being only 27,000 square feet. It's very modern and has an upscale feel, even though it's not an upscale store. It is a great example of a larger urban ethnic model that we really don't have here in NJ/NY. The closest we really come is Food Bazaar. I'd love to see more stores like this around here!